If you’ve been looking for furniture online, then you’ve probably started seeing dining tables, desks, beds, and dressers popping up in ads as you’ve browsed videos on YouTube, or in sidebars on websites. These ads may show furniture in beautifully-staged rooms that may look perfect for your home. But, if you’ve clicked the ad, maybe you found that the furniture’s specifications weren’t quite so perfect. The piece may have been a lot smaller than it seemed in the images, or perhaps its height was low or to high. If you bought without looking at the specifications, you may have been disappointed by the arrival of a rustic end table that was made of plastic laminate over fiberboard and that fell apart too soon. Disappointment with furniture ordered online is common, and after a bad experience many turn to local stores to get a better feel for furniture before buying it. However, the selection is often limited to standardized sizes and finishes, and these may not suit your needs at all. The trick is to find a local custom furniture shop where handcrafted pieces can not only be viewed in person but can also be tailored to match the spaces in your Dallas-Fort Worth home. The obvious advantage of buying your furniture from a local store is that you will have a chance to see and experience it in person. You can bring a tape measure with you and get the exact dimensions to plan a room around. There’s no worry about setting up a desk and then finding out that it is too low to park your office chair underneath it. Seeing it in person allows you to examine the floor model to see how well it is put together. If it quivers like a bowl of jelly, then you’ll know to look elsewhere for what you need. However, the selection of furniture that is available in most local stores is typically produced at a factory somewhere else. It may even come from overseas. The majority is built to standardized specifications and these might not fit you—or fit into your home—comfortably. The materials they are made from tend to be what is economical for the producer and not what is the most enduring or beautiful. Rather than trying to juggle these potential pitfalls, you can turn instead to a local custom furniture maker. A skilled craftsman local to the Dallas area can actually build furniture to your exacting specifications, giving you what you need instead of forcing you to make do with something prefabricated. When you work with local craftsmen who will build your furniture to be exactly what you need, it opens up a whole new world of aesthetic and functional possibilities. Solid wood is not only lovely to look at, but it is also a more durable material than veneer-covered particle or fiberboard. A large dining room table built out of solid hardwood can last for generations without sagging in the middle—an affliction that often befalls tables made out of manufactured wood products. With custom, handmade pieces, the durability of the finish is also far superior. A scratch on composite furniture can go all the way through a veneer and expose the material underneath. When solid hardwood furnishings are scratched through though, the material exposed is the same as that on the surface. Repairs on this type of damage can be as simple as stripping off the old finish, staining the wood, and giving it a new coat of sealer. Solid wood furniture can be refinished for a very long time. In fact, wood pieces have been known to last for centuries when properly cared for. When you work with a local craftsman to create your furniture, they’re also available to restore it to original condition if anything happens. The greatest advantage of handmade furniture, though, is its customizability. We are all a little different in how we are built, how we live our lives, and what we do daily at home. Our furniture should reflect that. A career woman splitting her time between the office and her home office in an apartment uptown may only need a chic modern desk that provides just enough working surface for a laptop and taking notes, and a drawer to store the laptop. An app developer or a musician who works full-time from home may need an exceptionally large work surface for multiple monitors and equipment. Deep drawers to tuck spare equipment away when it is not needed may also be a requirement. A craftsman with the knowledge and skills to customize this type of piece can help bring the perfect workspace to life. Homeowners in Dallas-Fort Worth looking for local handmade furniture have an advantage that most people in the US don’t. They have access to some of the best high-end custom furniture for their homes. Unruh Furniture builds every piece from solid hardwood. You can choose to build your perfect bed, dining table, or sideboard from a selection of woods and finishes. You can also customize your furniture with the width, depth, and height that suits you. It’s an advantage unique to choosing local handmade furniture for your home and found only in the heart of Deep Ellum in Dallas. 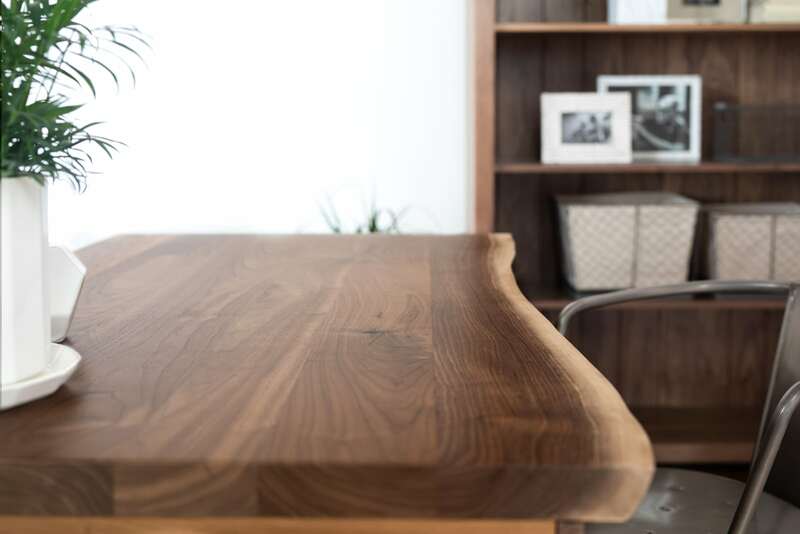 Unruh Furniture has family roots in Dallas-Fort Worth and we build our desks, bookcases, beds, and sideboards by hand for local customers in six different hardwoods and twelve finishes to create furniture that fits you in the style you specify. Schedule a visit to our Dallas showroom in the heart of Deep Ellum to see the best local handmade furniture in Dallas-Fort Worth. Image 1: Local handmade furniture like this Mid Century Desk from Unruh Furniture has a unique organic style. 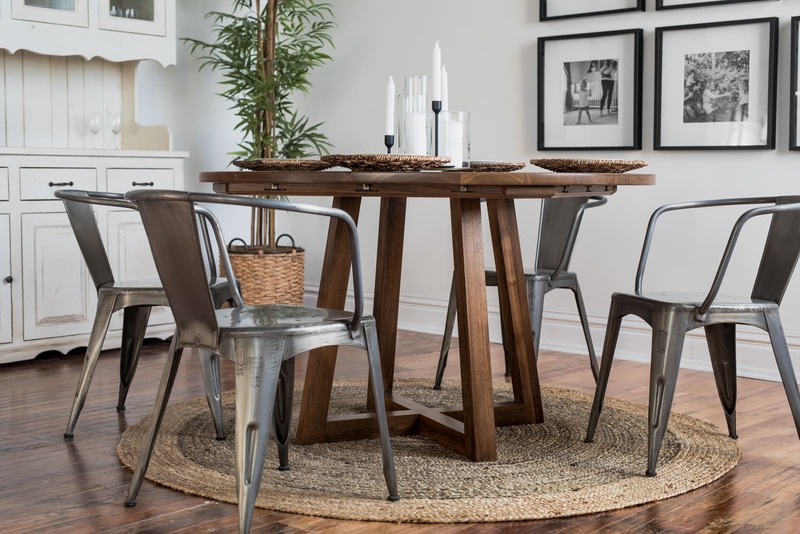 Image 2: Handmade Furniture like the Ward Round Table can be customized to fit you, your family, and your space. 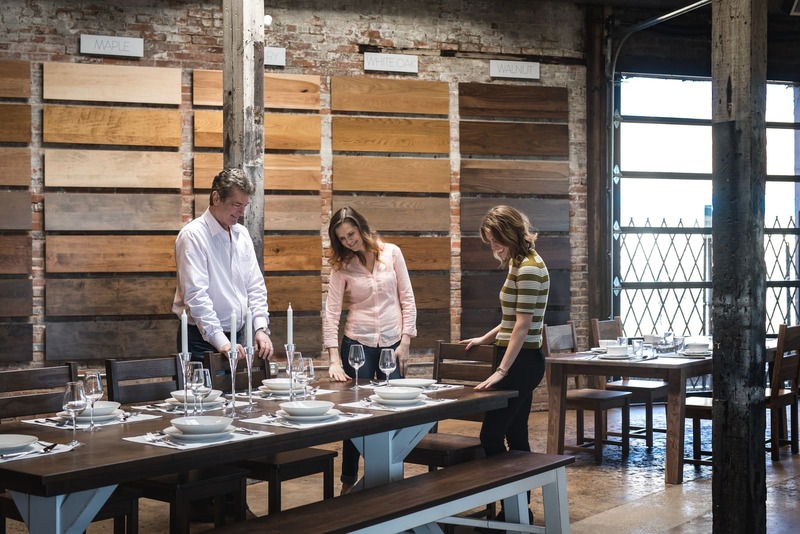 Image 3: At the Unruh Furniture Showroom in Dallas you can feel the quality for yourself and pick out the wood and finishes that best compliment your home’s style.